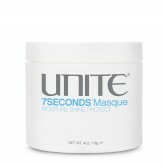 7SECONDS BlowOut Crème will blow your mind, and your hair. Its blow-controlling formula .. Within 7SECONDS your tangles will be gone and your hair will start to feel alive again. Nourished an..
7SECONDS to glossy hair. An anti-humectant shine spray that’s not only dry and airy, but provi..
Unbelievable Moisture. Brilliant Shine. Ultimate Protection. By restoring the elasticity and giving ..
Can you believe that within 7SECONDS your hair can be fresh and clean? Then you are straight out the.. Silky...Smooth...Healthy. 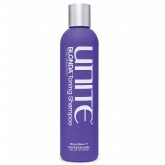 U Oil will give your hair that lasting moisture and instant shine that you.. Wanting those beachy, full locks without trying too hard? BEACH Day will give you that feeling in mi..
Hey Blondie, you spend a lot of time and money getting your cool tones and highlights just right. Do.. This rich and creamy daily shampoo soothes the scalp while gently cleansing hair without stripping c.. Gift Set Includes: Blonda Shampoo 8oz Blonda Conditioner 8oz 7 Seconds Leave-In Detangler ..
Hey Blondie, you spend a lot of time and money getting those cool tones and highlights just right. 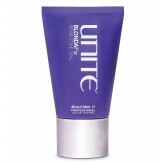 D..
Blonda Fix - This deeply reparative, ultra-violet treatment repairs stressed out, overworked, brassy.. Lift, curl, sculpt, smooth, create shape. WOW! Is there anything that this product can’t do? F.. This giftset includes: Texturiza Dry Finishing Spray 7oz 7Seconds Glossing Spray 6oz 7Seconds B..
BLOWOUT Prep Set Includes: 1x U Oil 4oz 1x 7SECONDS BlowOut Cre?me 7oz ..
Keeping you in the loop is easy with BOING™ Curl Conditioner. Its targeted-hydration penetrate..
BOING and re-BOING! BOING™ Curl Leave-In de-tangles, protects and refreshes curly hair by..
All rings considered here. BOING™ Curl Shampoo’s hydrating, cream-to-foam formula g..
Give it a whirl, and curl.BOING™ Defining Curl Cream moisturizes, defines and holds curls in p..
Moisture and bounce in every ounce. BOING™ Moisture Curl Cream keeps hydration in and hum..